Reikon Dungeon is a real-time roguelike dungeon crawling game where the player gets to explore infinite dungeons and hunt down deadly monsters. The Twist? You can choose to be reincarnated in that monster that just killed you a few seconds ago! Deep character customization: You can control every aspect of your character progression, experiment with different builds and combination of equipment and skills to create your own lethal combination. Build a safe place for the good souls: The four elements deities unable to stop the tower turned themselves into idols to build a shrine from the inside, to host those not lost. 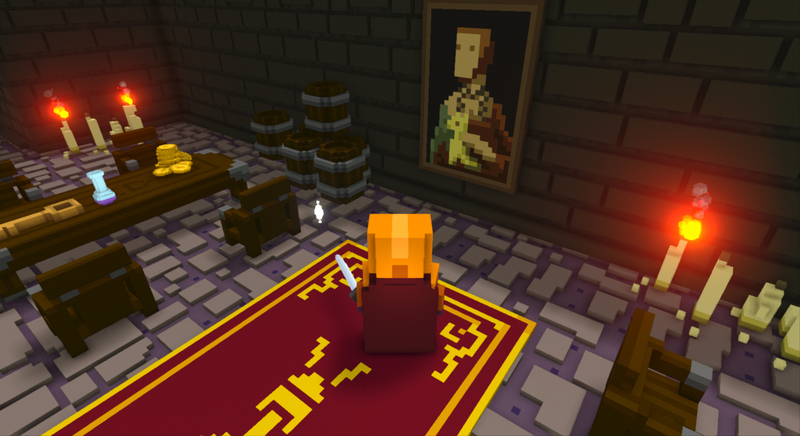 Build new areas and unlock NPCs that will lend you their help. Procedural dungeon generation: Dungeons are procedurally generated but saved at each run, to give you an endless challenge and real time action fun! Procedural loot: With a vaste combination of skills and accessories you'll hardly get the chance to drop the same item, and you can also combine them. Rebirth: Death can happen, however you get to keep all your items to start over again and get another chance to reach the end of the dungeon. Obtaining the soul core of the monster you previously defeated will enable you to get their unique stats and special abilities, which could be helpful to exploit certain bosses. Bosses: A game can't be fun without those huge boss fights. Each one has its own peculiar abilities and strengths, making for epic and ever-changing battles. You'll learn to hate those bosses and then eventually beat them. 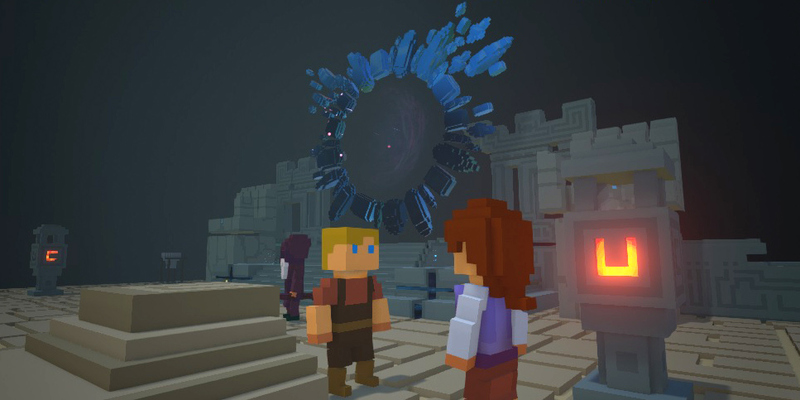 Interact with the world: With a system similar to the message in a bottle, you'll be able to communicate with the other players that populate this endless and huge dungeon; we plan to give the player the chance to affect the world in many ways and this is just one of those. It's been long forgotten when the Tower started eating the lands, unstoppable, inevitable. Every creature, human or monster and their belongings became part of the walking monolith, everything was eventually restored and imprisoned inside, but not quite like it was originally. Where there was a city, now is none. Inside the tower every soul materializes as their inner nature, a man can turn into a beast if it fits him, and the opposite can happen too. Everyone is forever imprisoned and forced to roam aimlessly inside the insatiable pillar. We took inspiration from classics like Chocobo Mistery Dungeon, Shiren the Wanderer, etc. and we added a twist: a gameplay that feels strategic and dynamic, something that can't really be achieved with the turn based approach, and that players into dungeon crawlers will enjoy without the fear of "more of the same". As the Tower travels it will collect more locations for the player to explore; every location will be populated by unique creatures, so far we've planned about 20-25 characters, each one with a special unique passive skill that will impact its play greatly. Getting deeper in the dungeon does not only bring stronger foes, it will also reveal part of the backstory behind the colossal creature that annihilated the world as it was, and other features that lead to rare soul cores and equipment. Crafting the resources from the different lands will also lead to more exotic equipment, and the character the player picks may let him reach certain areas precluded to others species, so multiple trespasses of the same dungeon can lead to different results. 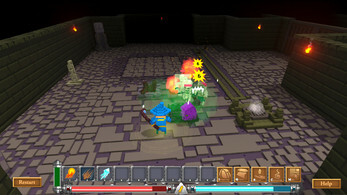 Unlocking a new Soul Core brings not only different statistic for the player, as the skills are completely customizable on any character, a special unique skill also adds depth to the strategy to apply during the dungeon traversal, and sometimes certain quests could ask to play exactly as that character. The game started as a 2D retro styled roguelike dungeon crawler, we were familiar to the genre from our previous experiences and while writing down the game design we started thinking "You know what? This could really benefit by adding another dimension!" We moved to Unreal 4, and we will never regret this decision: the engine is amazing and it gave us an incredible boost in development speed. Surely everything was different and more complex at the beginning, but with the hard work of 4 months, we had the first working prototype of the game. The game has been greenlit in 10 days, and we estimate the early access version to go live this summer. Bear in mind that you are downloading a PRE-ALPHA version of the game, which showcases just some of the features listed above. The PRE-ALPHA has only one character playable for now, we're tweaking the various builds to have an overall balanced and unique playstyle for each character. Full screen can't be enabled cause of a little issue in Unreal Engine. The difficoulty is pretty easy, and the skillgem drop rate set to let the player try most of the skills in one play through. 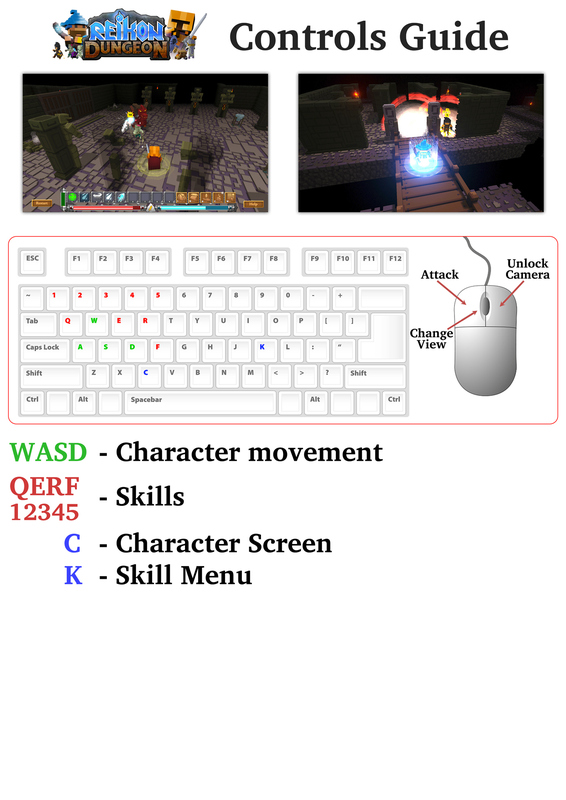 Some parts of the UI needs some tweaking and not all the info has mouseover descriptions. 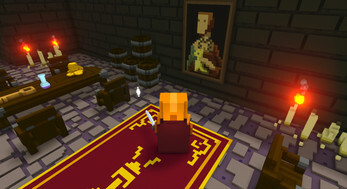 The game can encounter some long loading time creating dungeons, hang in there, it's still working. Vendors show "buy with right click", but it's actually the left button. Extract the .zip file in a folder and double click on ReikonDungeon.exe to run the game!